Robometricschool. - When developed microcontroller to change using microcomputer, there are many kinds of microcontroller using now. Microcontroller can be used to process data for specific work in controller. Microcontroller can be used in controller field to control data temperature, time, speed, etc. There are also many kinds of microcontroller that developed in this moment now. From Atmel. inc have been launching MCS51 and also AVR family. And now user of microcontroller often use series of AVR microcontroller from Atmel for their jobs or hobbies. And now robometricschool.com will share to you about Codevision AVR for Atmel AVR microcontroller. As we know that microcontroller will operate when we fill it with specific program. 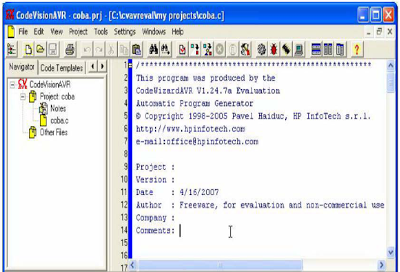 We can fill specific program to microcontroller use compiler and then we can to continue to download the program to microcontroller use downloader. 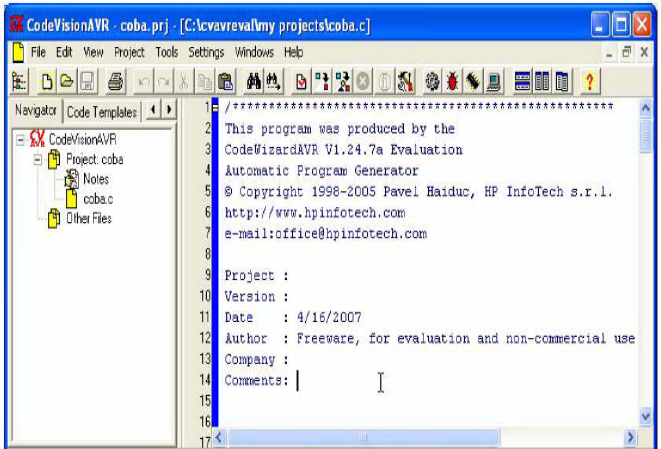 One of the most popular compiler software for AVR microcontroller that usually used is Codevision AVR. For more information about Codevision AVR you can read my posting about Lets Study Introducing Codevision AVR Compiler. Hope free download Codevision AVR for Microcontroller AVR can help you to finish your job AVR microcontroller.